“People on pretty modest incomes pay the highest rate of income tax too soon,” he said. “If we don’t do something about it, it’ll get worse and worse and worse,” he said, citing wage increases in some sectors. Speaking later, Mr Varadkar did agree that Ireland cannot go back to ‘boom and bust’ economics, saying any tax cuts would have to be considered “affordable”. In the interview with this newspaper, Mr Varadkar argued high income taxes are the “one big exception” to the idea Ireland is a low-tax economy. “We’re competing to get good, well-paid jobs into Ireland. We’re also trying to encourage people with high skills to come back to Ireland. 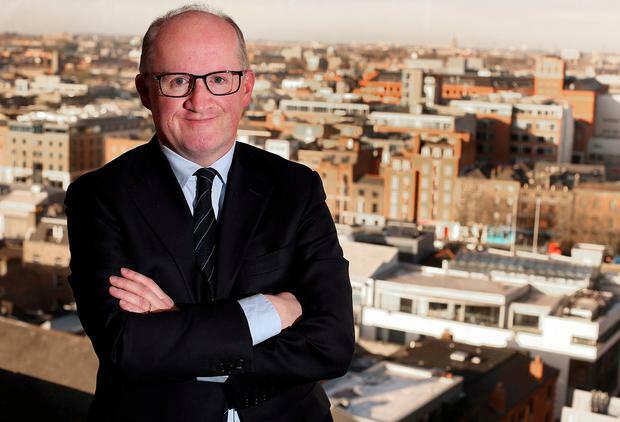 Addressing the annual Central Bank of Ireland economics round-table, Professor Lane said “if fiscal buffers are not built up, there is a risk of repeating the historical patterns by which economic downturns have been amplified by pro-cyclical fiscal austerity”. He indicated that the same sentiment is contained in the pre-budget advisory letter he’s sent to Finance Minister Paschal Donohoe ahead of the October Budget. Prof Lane warned of three particular threats, including rising interest rates that will hit high-debt countries, including Ireland, and that a surge in corporation tax revenues since 2015 may not last. That tax take therefore should be treated as a once-off windfall rather than built into future spending plans, he said. Speaking after Mr Lane’s comments, the Taoiseach said while visiting Inis Meáin, in Co Galway, that the Government would be “very cognisant” of what the governor had to say.